Building Peaceful Communities, EDES 501 Toward a Curriculum of Community. This was one of the most amazing classes I have taken and was a life changing experience for me. I created the project as an ABC online book titled “Myself as a Curriculum Maker of a Community”. Each page in the book is a ThingLink which links to various ideas, posts, images and quotes that are things that I keep in mind when creating community in my classroom. To see my final project ABC book click here. Me Boxes– Not sure where I got this idea from but this is my first assignment of the year. It allows us to get to know each other. On the first day of class, I share my “me box” with the class. If there are any other staff working in my room, I ask them to create and share one too. The “me boxes” can be decorated in any way and must contain items that tell the class community about them. Because I love technology, I have always included some sort of tech component to my “me box”. Other things I include in my box are photos of my family, my favourite pieces of art I have made, a good book, things about my culture, etc. Throughout the first week or two of school students bring in their “me boxes” and share with the community. Students ask questions of each other after each student presents their “me box”. Spirit Buddies– This strategy is taken from Jennifer Katz’s 3Block Model of UDL. Spirit Buddies is a 5-10 minute, small group gathering, every morning. The groups are made of 3-4 kids, that are chosen by the students, but they cannot pick their best friends. This allows them to build strong connections with a variety of students. This time is used for students to decompress, from whatever situations they are in before coming to school. They are encouraged to share their stories and anything they want to share with their groups. I switched these groups every few months or more so they can build a strong bond with their group members and also build bonds with a variety of students in the classroom community. What I really like about this strategy, is that it gives my quietest students who kept to themselves, the time to build a bond with someone in their group. Democratic Classroom Meetings– Another strategy that I use from the 3 Block Model. I hold a class meeting once a week. For the meeting we gather as a community in a circle. Meetings start off by each student expressing gratitude to someone in the class community. After the round of giving thanks, students then go around the circle and bring up any issues in the community. They can also pass if they have nothing to bring up. After the issues are raised the students brainstorm ways they can work on the issues. Issues could be anything from class seating or environment, recess issues, noise level, timetable, etc. They can bring up anything that could be negotiated within reason. Teachers give up control by letting the students come up with ideas and then decide which ways they will choose to solve their issues from the brainstormed ideas. Meetings can also be called at anytime outside of the set meeting time should a community member feel it necessary. Respecting Diversity Lessons– These are lessons from Jennifer Katz’s 3Block model. Some of the lessons include talking about the idea of what is smart? This allows students to think about all the different ways people are smart. Not just the traditional ways (reading, writing and math) we tend to focus on in schools. Students do a multiple intelligences survey to identify their strengths and areas of challenge. From there they create a community brain together from plastacine and add a flag with a strength that they promise to help others in the community with. These lessons set the stage to help students recognize the diverse strengths and challenges the community has. 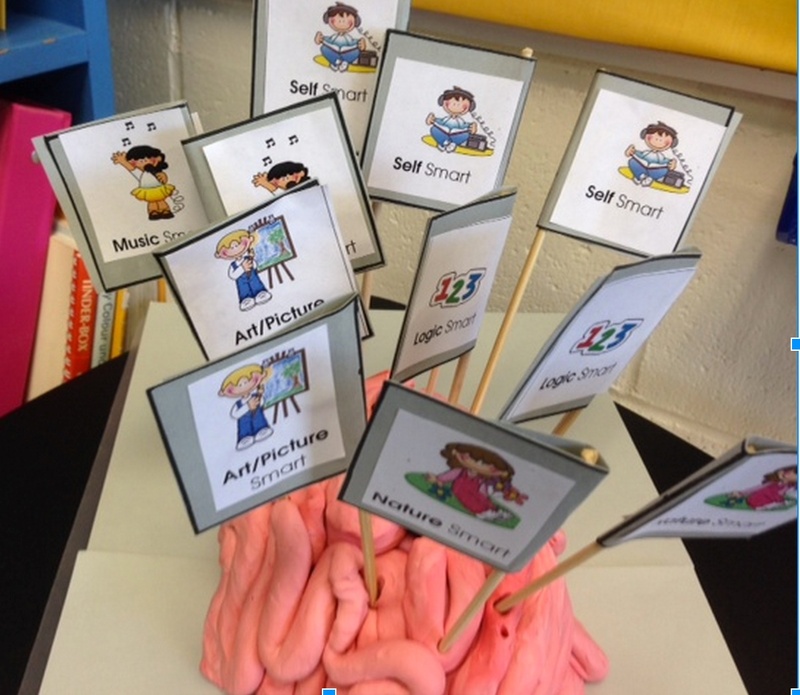 The community brain is then used as a resource in the class when members need help. If a students is having trouble with a math problem for example they can go to the community brain to see who has math as a strength, and seek their help. See Jenifer Katz’s website for more info. Blogs– The use of reflective blog portfolios for my students help build on our sense of community. Here students share their work with each other and give each other feedback. Their free writing entries allows the members to get to know each other better. They are open to a wider community when we connect our blogs with other classes. Family are encouraged to read the blogs and leave comments and feedback. Class Website– Our class website helps keep the parent part of our community in the loop. I update this site often with current important dates, newsletters, links to our blogs, a widget for our Twitter feed, photos, video, published student work and important class links. Seating– Are kids encouraged to connect and collaborate? How are the desks or tables organized? I like to set up my class so there are a variety of seating options. I prefer tables, but if I had to work with desks, I always had students in small groups or large groups. We often rearranged desks to suit the task. I rarely have students seated in rows or alone. I want my students working together and learning from each other. Couches and alternative seating to create a comfortable space where students can work together are a must. Decor– Keep it natural and not too bright. I like to decorate bulletin boards with fabrics of black, blue brown and green. Plants are also a must if we can only keep them alive! Lighting– I prefer natural light as much as possible so my windows are always open so we can see outside. In my last school, I had half of the florescent lights removed so that when I did need to use them it was not too bright. Floor and table lamps as well as battery tealights in containers are also another great option. Christine, one thing that we did in my room that was very useful was the printed colour ‘brains’ we did for each child. Once the student knows his/her particular strengths, the individual brains were grouped around a small poster describing that trait. I looked at that wall regularly when creating lessons. It kept the information front and centre which helped me to better plan for the needs of the group. A must do for next year, when it will be displayed in a more prominent place in my room. I want the children to see me using it and to use it more themselves. It was a great way to honour the diversity in our room! Yes, I noticed that when I came into your classroom a few weeks later. I took pictures of how you displayed them for future reference! I also made up a one page chart of the traits and listed students under the traits that are their strengths. You could keep one of those by your desk or in your planning binder for quick reference as well.